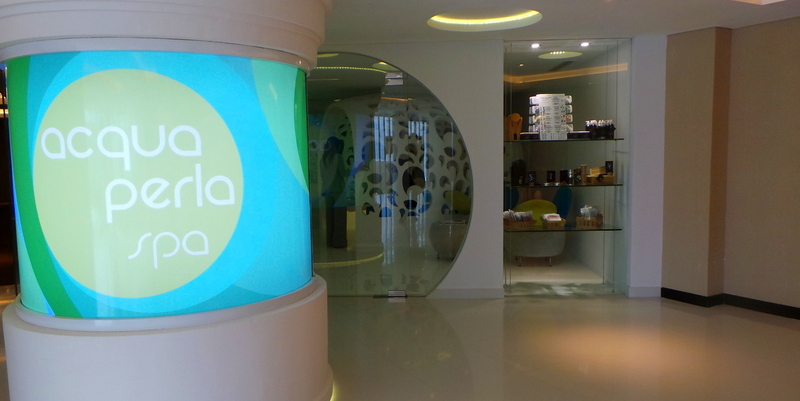 I’m still heady from an entire afternoon spent at Double Six Seminyak‘s Acqua Perla Spa. Bali is a place not short in spa and massage services. Almost every hotel and resort has their own spa. Just walking along the beach, you will be approached by ladies offering services of massage, manicure, pedicure, and the like. In short, Bali is spa-haven. This is my first time to Bali and my first Bali spa experience, and I can already tell you I’ve just experienced the most unusual spa treatment Ive ever had. After the preliminary consultation of a therapist asking about my preference (and health background), I was also presented with a vial of oil samples along with small containers of the types of scrub they use. I chose my combination preference and off I went to my first treatment. My first treatment was called the “Hydrotrail Spa Treatment” , and it is so rightly named. It’s composed mainly of water treatments, and it IS a trail. It’s not easy to describe but I’ll try my best. First, I changed into the spa’s silver and blue swimwear. With the assistance of a therapist (vocal assistance, as she cannot go in with you), you go on this dark trail alone. 30 minutes long and composed of 5 “clusters” or steps, it’s similar to going to a dark fun house. This is the first cluster. You sit in the throne, and strong jets of water will massage your lower back/thighs and legs. Once the light in the water turns red (where it is a nice shade of blue above), you promptly move to the next cluster. It’s like being in a dark underground tunnel (your feet will be submerged in warm water the whole time), and when I entered the next chamber/cluster, I saw a big glass bowl filled with large ice cubes. “Now please rub your body with ice “, the therapist called out to me from the entrance. I would normally shudder at the thought, but I promptly obeyed. And I’m glad I did! It relieved the spots where the water jets strongly massaged me (hips and legs) and the contrast of hot and cold felt strangely comforting. 2nd stage, I moved on to the “Waterfall”, where I stood while a really, really strong massive waterfall fell and massaged my shoulders and upper back. And it was at this stage that I was relieved that the therapist couldn’t really come in this chamber with me because when the first strong blast of water hit me in the shoulders, it promptly un-did my swimwear as well. The strength of Iguazu falls, this one! 3rd stage, I progressed to a narrow alley in what I would describe as a wall of water jets. You walk back and forth between 2 walls with several water jets blasting from each side. The 4th stage was what was called the “Rainforest” where you walk along a grassy patch and a nice warm mist of water falls down on you. The 5th stage is Hammam, (my favourite among all the stages!) The hammam room is like a sauna (but not as hot). And as I lay face down on a waterproof bed, I was scrubbed from shoulder to toes by the therapist, and then rinsed. Just as I thought this was the last stage, the therapist led me to a small room where I saw a wooden bucket hanging on the ceiling. There was a rope dangling from the bucket, ready to be pulled. The bucket had a clear label: “Cold Water”. “Please stand underneath the bucket and pull the handle”, my therapist instructed. 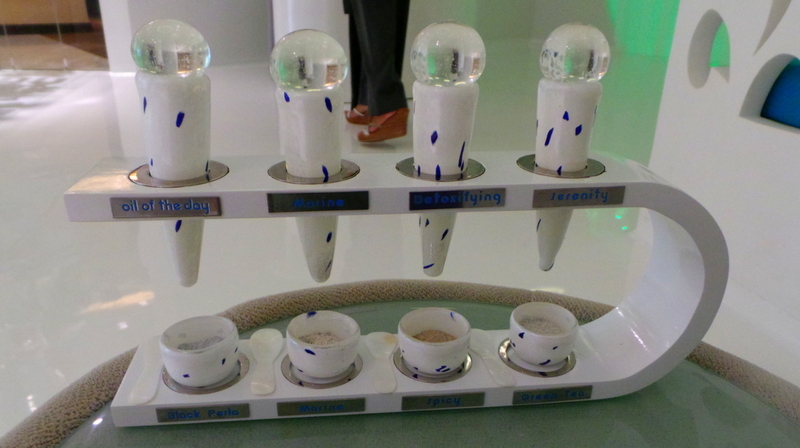 The massage rooms had very fluid designs, keeping to the theme of Acqua Perla. Traditional Balinese Massage techniques include skin rolling and flicking, firm and gentle stroking, percussion and application of essential oils. 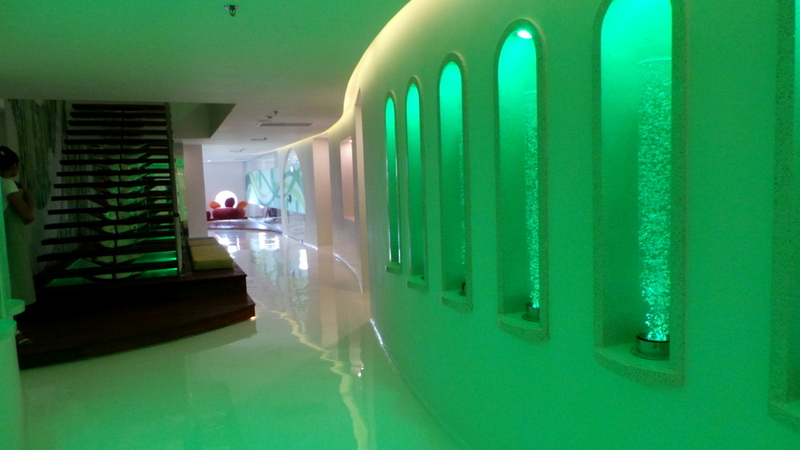 It was a very relaxing 1 hour treatment accompanied by soothing traditional Balinese music. After the Balinese massage, my therapist said goodbye and explained that a facialist will take her place. She instructed me to wait and relax in the massage table, which I did without any effort! The facialist soon arrived and explained that the Lavender Facial is a targeted one specifically for my skin type (combination). Their facial products are all from Elemis. 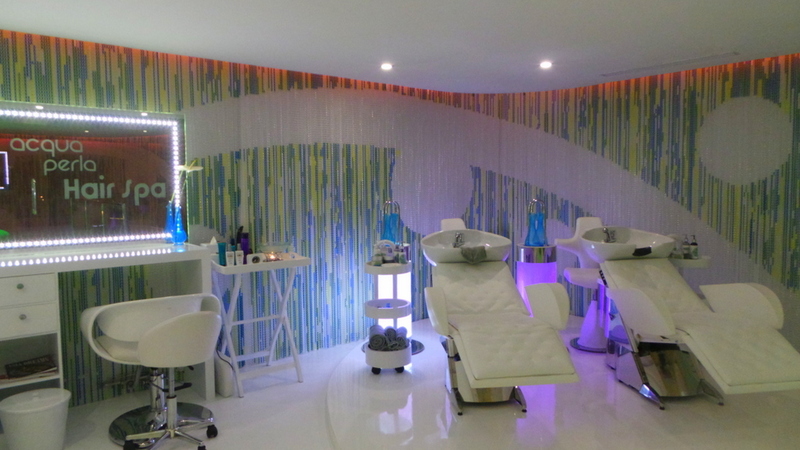 It involved a lot of mask application on the T-Zone (with a heavenly scalp massage while the mask did its magic!). After the facial (1 hr 15 minutes), my face looked radiant, glowing, and most of all my T-Zone looked much clearer – without any extraction or exfoliation at all. The entire treatment is done on the shampoo chairs, but they are not your regular neck-breaking shampoo chair. They were so comfortable that you don’t feel like your head is in a basin at all. 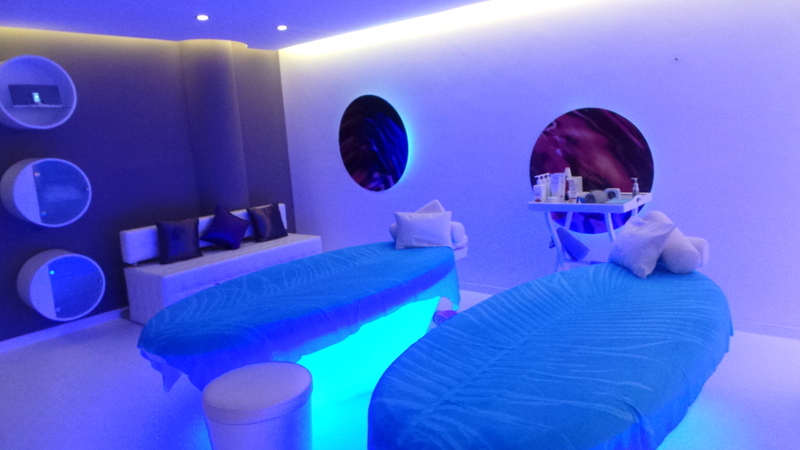 They also have a built in massage feature which was kept on throughout the treatment. 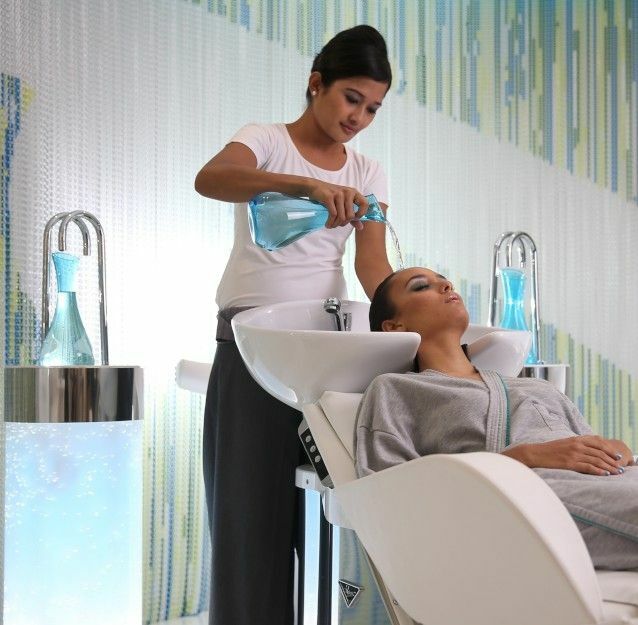 The treatment involved pouring of alkaline water on the hair (to balance the Ph levels), a scalp massage, and the application of a thick mask which was later locked in by wrapping hot towels around the hair. After rinsing, my hair was naturally blow dried and felt really calmed down and smooth. Bali is a place to relax and indulge, and I suggest that when you are in Bali try to spend an entire afternoon to treat yourself. I occasionally indulge in 1-hour massages in Sydney but anything beyond an hour in Sydney is exorbitant in price, not to mention that I most probably do not have the spare time when I’m home. So when you are vacationing and you have some free time I suggest you devote a day or an afternoon of just purely pampering yourself. Do you love indulging in Spa treatments? What are your favourite ones? That looks like heaven. Yes I do but it’s so expensive here in Europe and every time I get a massage Im always disappointed. Can’t wait to do this again when im in asia. What an AMAZING experience. Soooo jelly! an all access to the spa!! i think that’s a most marvelous idea 🙂 I have not been to a cruise before, but I have a feeling I will be indulging in that all access spa 🙂 I can only imagine how refreshed you stepped off the ship! 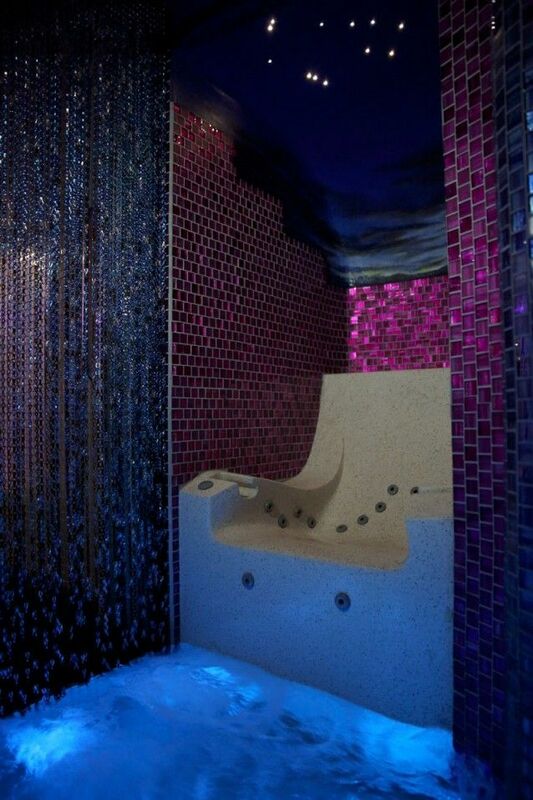 Looks incredible, that hydrotrail therapy chair looks so inviting. I just indulged a little at the Marriott Spa in Aruba over the weekend and the full body massage was incredible. An hour just wasn’t enough! Wow what a place! I have to admit I haven’t been to a spa quite as gorgeous as that before!